Presented by the Parents' Association. Always free and open to the public. Monica Reinagel • September 26, 2018 • 7:30 p.m.
How should you feed your student athlete? What to do when your child refuses to eat vegetables? How hard do we need to work to avoid pesticides, additives, and processed foods? How do you model healthy eating habits when just finding time to eat together is a challenge? What's a healthy (enough) diet? 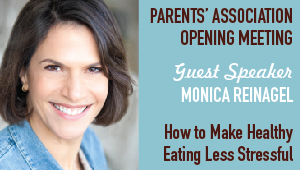 Nationally recognized nutritionist and author MONICA REINAGEL will sort fact from fiction and separate the important stuff from the stuff that's just not worth worrying about. There will be plenty of time for Q&A, so bring your burning nutrition questions and quandaries. 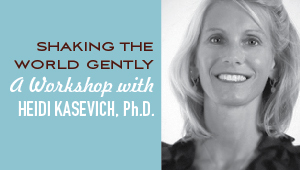 Heidi Kasevich • October 24, 2018 • 7 p.m.
How can you set the stage so that your quiet child or teen can thrive? Through this parenting workshop, you’ll gain a better understanding of how the world appears to your introvert — and what you can do to be supportive. You’ll learn the best ways to help introverts to harness their strengths, step outside their comfort zones with authenticity, and deepen their relationships with others. The presentation will culminate in strategies — for kids of all temperaments — to tap into Quiet Power so as to make a difference in the world. ANGST Film • January 23, 2019 • 7 p.m. 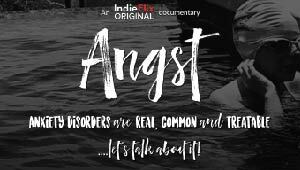 The documentary Angst was created to develop a greater awareness about the impact and causes of anxiety, and to start conversations about available tools and resources available for addressing anxiety in adults and children. The film shares stories from children and teens who discuss their anxiety and its impacts on their lives and relationships, as well, as how they have found solutions and hope. The film also includes a special interview with Michael Phelps, a mental health advocate and great athlete. Hear from our Park School Counselors following the film. February 13, 2019 • 7 p.m. 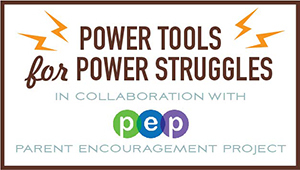 Frequent power struggles, whether between adults or between parents and children, impact relationships. Learn what happens when a conflict develops and gain some insights into redirecting that energy in ways that tend to solve problems and bring people closer. In collaboration with Parent Encouragement Program (PEP). 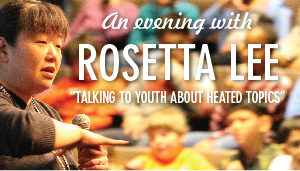 Rosetta Lee • April 24, 2019 • 7 p.m.
Young people bear witness to challenging or traumatic events in current events, media, and our local communities. They are often trying to process thoughts, feelings, and reactions without our explicit help and guidance, thereby increasing their confusion and anxiety. We adults have a natural instinct to protect our children from harsh realities and yet prepare them to navigate this complex world — is it possible to do both? What are ways to talk about identity, difference, and justice in age appropriate ways? How do you reinforce your family's values without instilling disrespect for other perspectives? How do you coach them toward authentic and respectful dialogue across difference? Engage in these questions and more through this interactive session.